Yayoi Kusama is one of the most well-known Japanese artists. Her major works and style are instantaneously recognisable; especially her polka dot works and love of pumpkins. Her works are so popular that galleries are currently vying to host major exhibitions dedicated to her across the world. However, you may be wondering: where do you find some of her finest works in Japan? 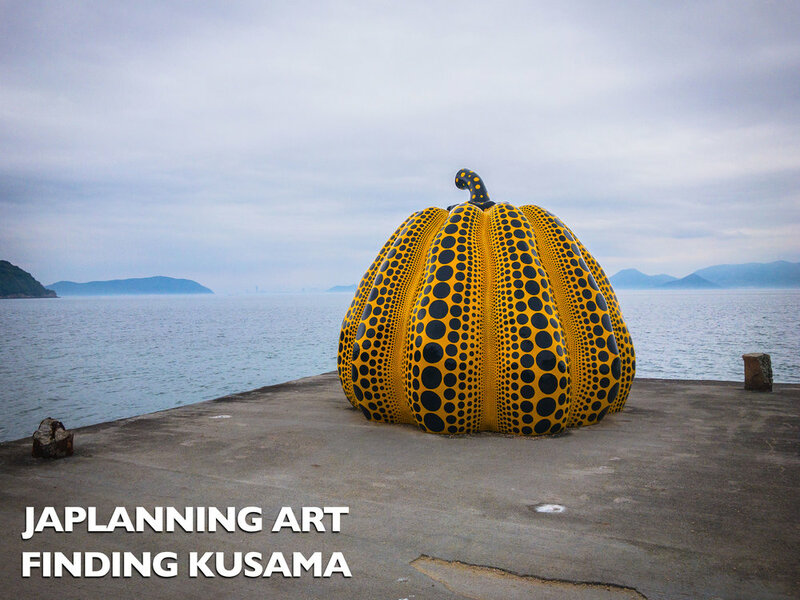 Today we explore Yayoi Kusama’s installations, exhibitions, and the new museum dedicated entirely to her art, in Japan. Yayoi Kusama was born in Matsumoto, Japan on March 22, 1929. Kusama trained at the Kyoto School of Arts and Crafts in a traditional painting style known as Nihonga. However she found the style frustrating and was more drawn to the European and American Abstract Impressionism. After stints of living in Tokyo and Paris, in 1958 she moved to New York, to become apart of the avant-garde scene, focussing on the pop-art movement through the 1960s. She became known after a series of ‘happenings’ she organised in New York, where naked participants were painted with brightly coloured polka dots: a style that she is now infamously known for in the art world. It’s coming up to the most beautiful time of the year in Japan; no it isn’t Christmas, it’s Sakura season! This is Japan’s busiest season for both domestic and international tourists. Everyone flocks to see the stunning blooms on the cherry trees all over Japan while enjoying time with friends and family under the blossoms. From late March through to early May the trees bloom from Southern Japan to the most Northmost tip. Without further ado here is the ultimate guide to Sakura Season in Japan for 2017. Sakura season is a magical time in Japan, from the first bloom till the last petal falls, the country is blanketed in a palette of pink and white hues, showing the world that spring has most definitely sprung. Throughout this time, Japanese people come together with friends and family to enjoy the natural beauty and flock to parks, and river banks filled with sakura trees, and relax under the trees with picnics and drinks and embrace the beauty. Want to get into J-Pop but don’t know where to start? Let the Japlanning team help you out with the J-Pop Mix Tape; a beginners guide to the infectious world of Japanese pop music. Japan is the second biggest music market in the world, behind the US. Arguably their biggest, and most popular genre is J-Pop. A term coined in the 90’s by Tower Records (Remember them? They still exist in Japan!) It covered all music that belonged to the Recording Industry Association of Japan.